Though it has been a long time since I am doing nail arts but honestly speaking, I am still bad at drawing straight lines! 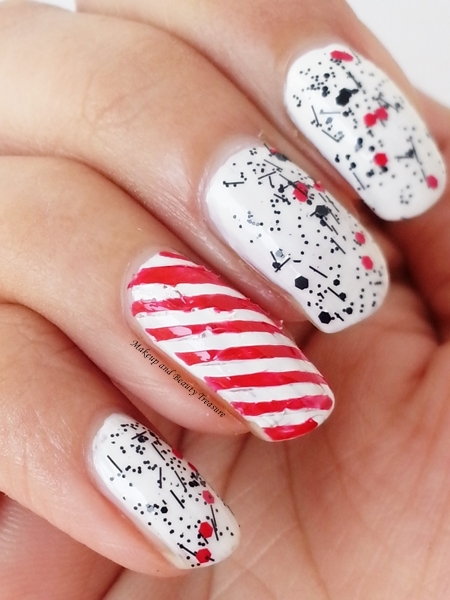 When I saw stripe nail art stencils* on the Born Pretty Store (currently there is a huge discount over BPS! ), I instantly ordered one sheet! You can either use it as a stencil or nail art stickers! One sheet of nail vinyls costs $2.74/ Rs 150 approx and you can get at a discounted price of $1.49/ Rs 100! You can BUY ONLINE on Born Pretty Store! Use the coupon code MEGW10 to get a 10% discount on your order! The nail vinyl sheet comes with 9 separate stickers. Each sticker is big enough to be used for 2 nails. They are holographic nail stencils that look very pretty and you can even use them as nail art stickers. To use the vunyls, make sure you paint the base polish and let it dry completely. Cut the nail vinyl into two and stick them onto the nails! Take a contrasting nail polish or any color of your choice and paint it over the vinyl! Lastly, peel the vinyl gently making sure you do not ruin the already wet polish! It does need a bit of practice to get clean lines and I somewhat failed in getting super clean lines! I used the red and white combination that is perfect for the Christmas festival. It does not take much time so you can feel dress up by just doing your nails! - Comes with holographic finish! - You just need a bit of practice and you will get straight and beautiful stripes! Born Pretty Store Stripe Nail Vinyls is a perfect way to get striped nails! They give perfect and professional look to the nails. They are easy to use and do not consume much time! I would definitely recommend them to everyone! Would you try Born Pretty Store Stripe Nail Vinyls? 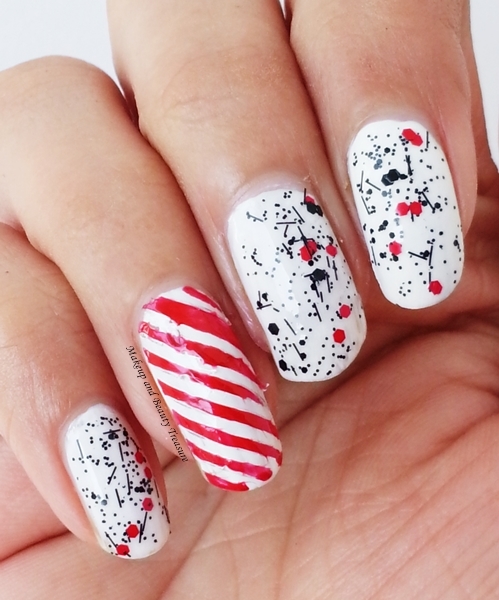 PS: If you are looking for nail art for Christmas then check this super cute stickers sheet! 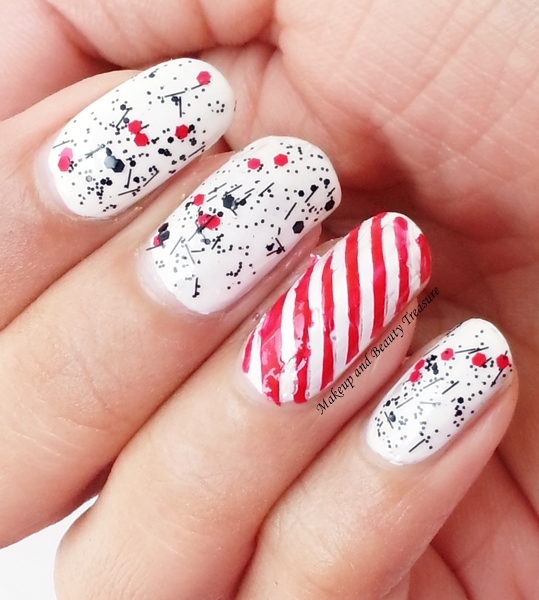 Love the Christmas stripes nail art! Me too! They create perfect lines!